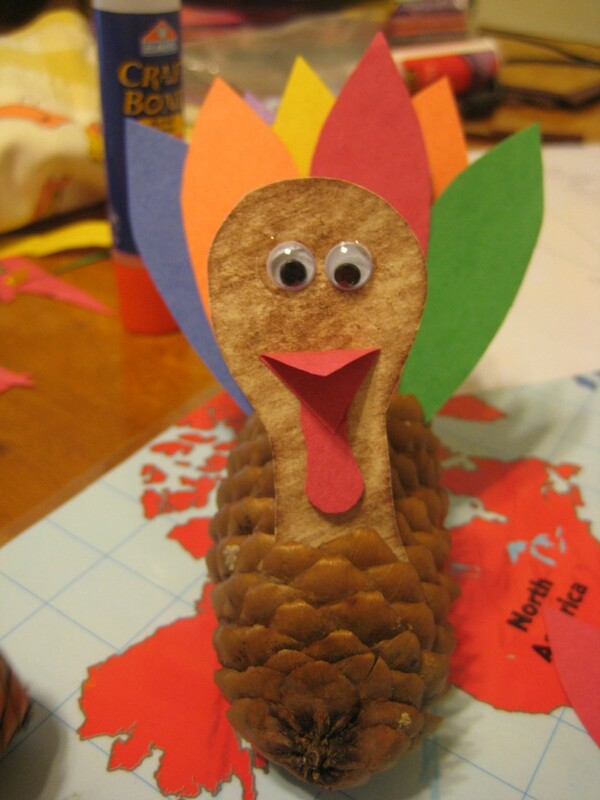 With Thanksgiving just around the corner and an empty morning before us, I decided it was a good time to get in the holiday crafting spirit. 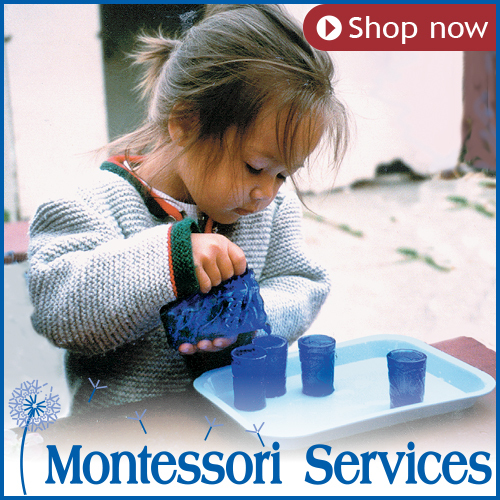 This is a really simple craft with just a few preparations and easy for a toddler or preschooler to do. Cut out the template. Trace on the construction paper and cut. Cut as many feathers you want. We did about 6. Glue the caruncle and beak on the head. Then glue the eyes. 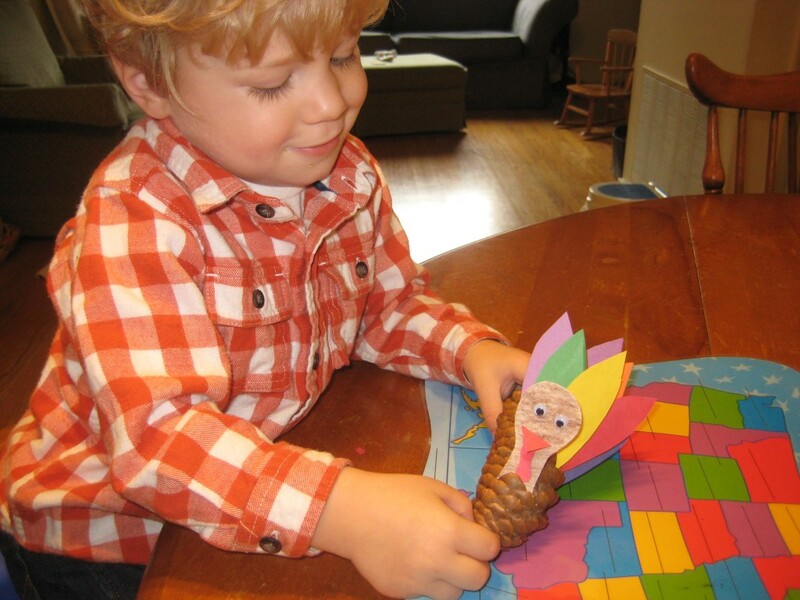 Stick the turkey’s head toward the base of the pinecone and the feathers in the middle of the back. 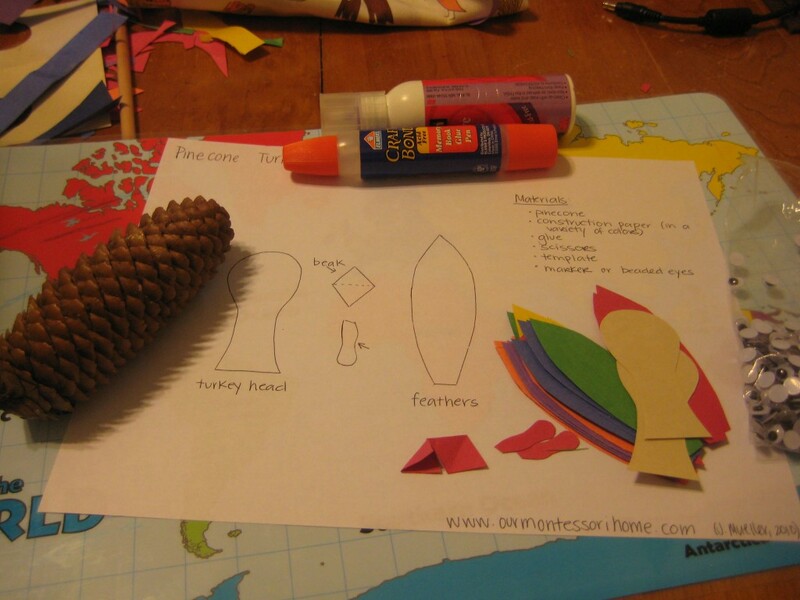 This is great craft, I work with 2 and three year old not sure if I can use the pinecone.